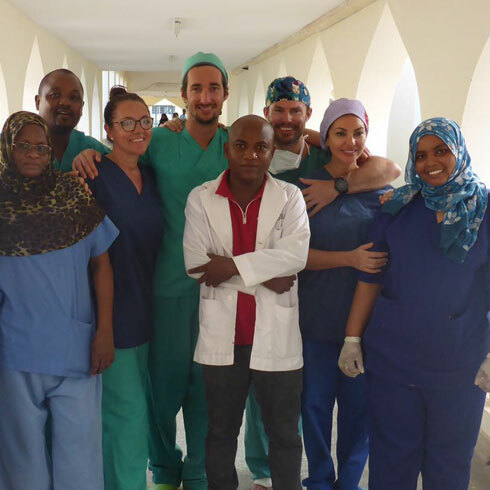 Dr. Kaye, Head Surgeon at Ocean Clinic Marbella, will lead a team of seven doctors and nurses on a trip to Kenya next March to perform life changing reconstructive surgery on children and adults. The team will operate on patients with disfigurements such as congenital malformations, tumours, burns, scars and other deformities. Organised in collaboration with the Pablo Horstmann Foundation Spain, the nine-day charitable mission is designed to help the poorest families in Lamu, an archipelago located in the northeastern coast of Kenya. Says Dr. Kaye: “As a rural area with few medical facilities and high levels of poverty, Lamu suffers a particularly precarious health situation. “Those who are born with a disfigurement or survive injuries have little chance of receiving adequate treatment and often remain disabled, unable to provide for themselves or their families. is not without its challenges, however – due to lack of facilities, the surgical team will have to supply and transport all necessary equipment. In total 400 kilos of material. Companies and individuals are invited to support the mission, helping to purchase the materials needed and ensure the team can operate on as many patients as possible. The trip to Kenya follows a similar mission to Peru that Dr. Kaye and his colleagues undertook in 2013. The team were able to help nearly 60 patients in just nine days, including many children, all of whom have made wonderful transformations. “Seeing them smile and shine with confidence makes our work incredibly rewarding. We can’t wait to get going and help the children and their families in Lamu,” he says.